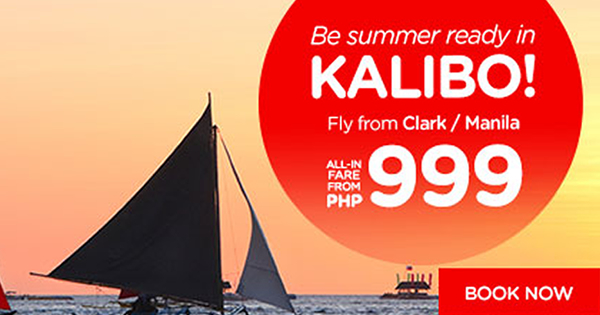 AirAsia's BE SUMMER READY IN KALIBO (BORACAY BEACH)! You may enjoy P999 All-In on base fare when you book your flights from CLARK or MANILA to KALIBO for travelling period till 26 February 2017. Book now to save more money!